Odalisque is a Dufour 32 Classic. 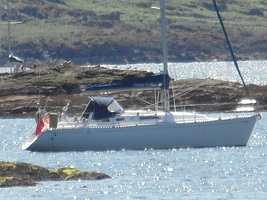 Odalisque is a well equipped and maintained 32ft sailing yacht based at Kip Marina on the Firth of Clyde, 30 miles from Glasgow. I’m retried, have over 40 years sailing experience and sail all year round. I sail mostly on my own but would like some good female company to join me on a regular basis. Also for individual trips.